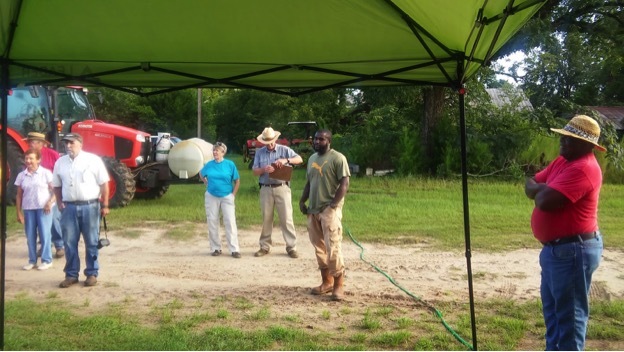 Jahi Ellis hosts a two-acre organic peanut demonstration plot on his peanut farm in Vidalia, Georgia. The plot is part of a collaboration between the Southeastern African American Farmers’ Organic Network (SAAFON) and Georgia Organics to help farmers in the area learn cutting-edge techniques in organic peanut production. Organic peanuts are new to Georgia, and there’s a lot of knowledge needed to succeed in growing them. The impact of this demonstration plot extends far beyond education for Jahi. Tammy Harris, network coordinator at SAAFON, said that Jahi used part of his $25,000 stipend for hosting the plot to buy a tractor for his farm: “That was a major boost that allowed him to farm more efficiently.” He also had the opportunity to connect with other black organic farmers who are often isolated on their rural farms. He learned about USDA Farm Service Agency loans and received support in the organic certification process. The state of Georgia grows about half of the country’s peanuts annually, but the vast majority of that production is conventional. In 2017, SAAFON and Georgia Organics received federal funding from the Outreach and Assistance for Socially Disadvantaged Farmers and Ranchers and Veteran Farmers and Ranchers Program (2501) to develop interest from farmers, shellers, and value-added producers to create an entire market for organic peanuts, which have a sale price over three times that of conventional peanuts. Each year, hundreds of educational programs, farm visits, farmers markets, technical trainings, and more are funded by the 2501 Program. Since the 2014 Farm Bill, 2501 has provided $10 million annually to organizations across the country to offer training and resources to farmers traditionally underserved by the USDA. 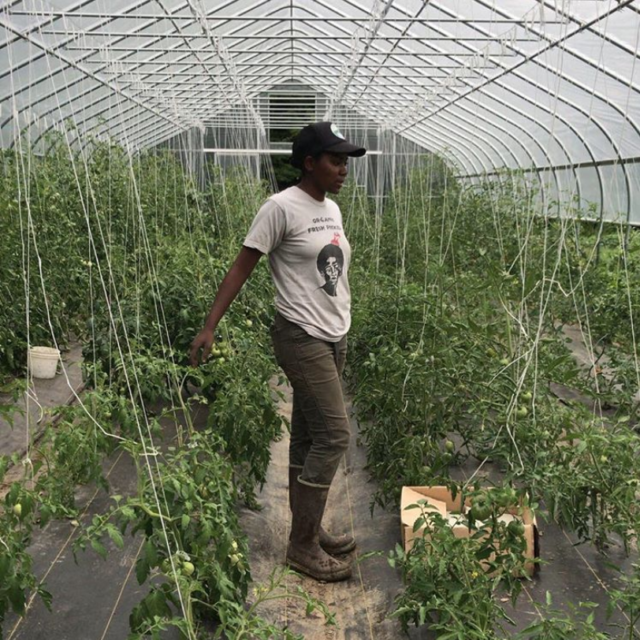 These programs reach thousands of farmers of color, women, and veterans nationwide. The Athens Land Trust (ALT) is another organization in Georgia that has received funding from the 2501 program. With funding from 2501, they are able to reach more farmers than they otherwise would be able to. 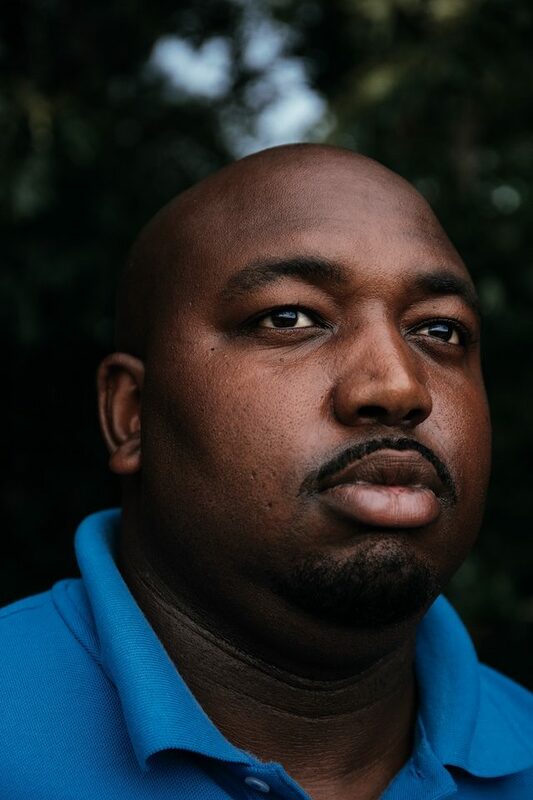 Black farmers in Georgia face specific barriers including lack of capital, lack of access to federal programs, and lack of access to direct markets. 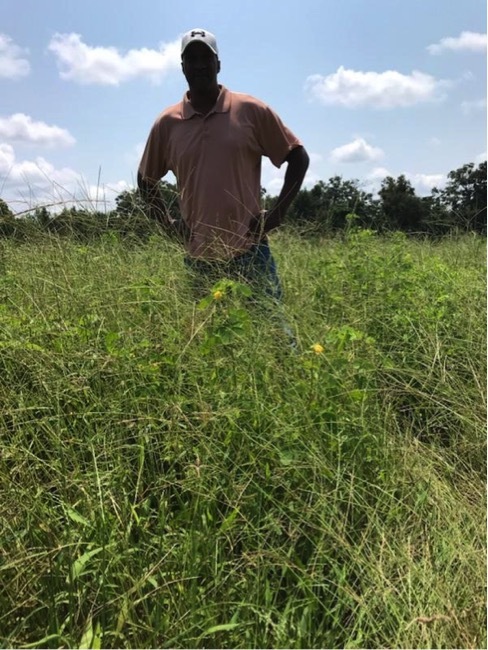 The 2501 grant helps the Athens Land Trust to support black farmers as they implement conservation practices that increase the capacity and sustainability of their operations. They help black farmers connect with local farmers markets, including an ALT-run market in Athens. Julian Green, the farmer outreach coordinator at the Athens Land Trust, says that the 2501 funding is valuable because it gives them a much larger reach and the ability to lead more hands-on programs with farmers. With a well-documented history of discriminatory lending practices and ingrained racism at USDA, the 2501 program is a crucial tool for USDA to right this wrong and ensure its programs serve farmers who have historically been left out. But the 2501 program is at serious risk. Like many small programs in the farm bill, 2501 does not have permanent baseline funding. That means that if the current farm bill expires without an extension or replacement by the September 30th deadline, the program will be eliminated. 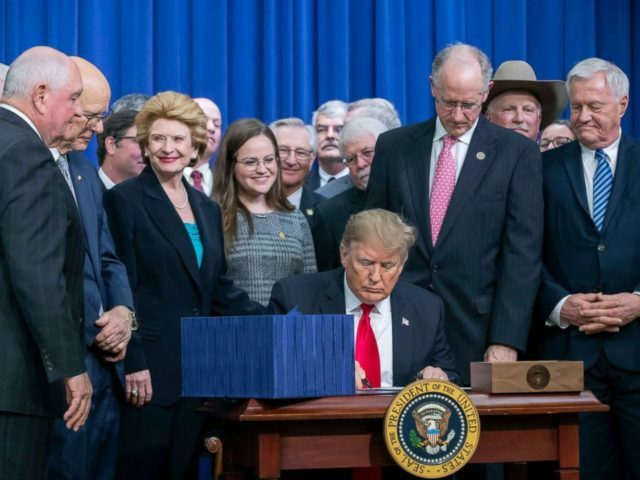 The Senate version of the farm bill makes a historic investment in 2501 by creating the Farming Opportunities Training and Outreach (FOTO) program, which streamlines existing efforts to support beginning, veteran, and socially disadvantaged farmers, while also permanently protecting these important resources for generations to come. The National Young Farmers Coalition will continue to fight for 2501 and ensure it remains intact as part of any final farm bill or short-term extension. NYFC helped secure support from 141 organizations and 53 Members of Congress for the inclusion of FOTO in the final farm bill. (LINK TO LETTERS) Text FARM to 40649 to tell your Representatives that farmers of color, indigenous farmers, and veterans can not be left out of a farm bill deal.